This is an original acrylic painting on birch wood panel with 1-5/8 inch sides. 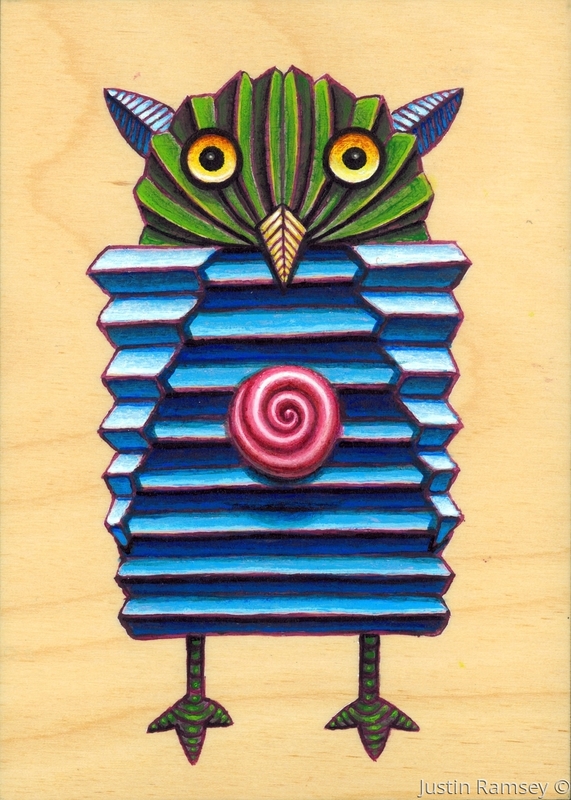 This owl is part of the spirals and folds series. Archival prints mounted on the same size wood panel are available on request for $35 (includes shipping).